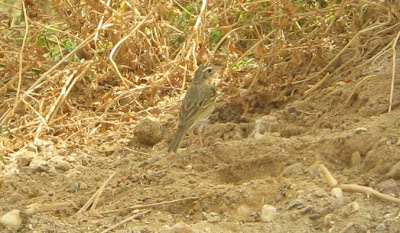 Olive-backed Pipit - One of up five wintering birds in Eilot's northern date plantation. Tried hard but couldn't get any better pics than this. March 18th. 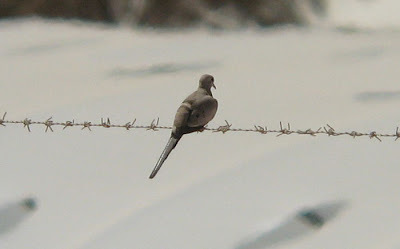 Namaqua Dove - female, Km20 salt pools, March 23rd. 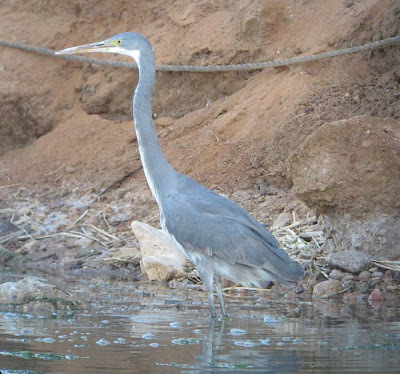 Western Reef Heron - Eilat north beach, March 23rd. 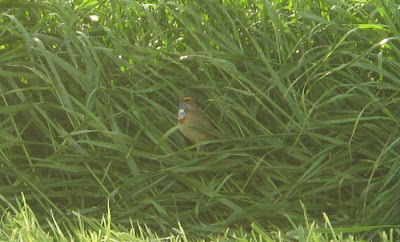 White-spotted Bluethroat - Yotvata, March 18th. 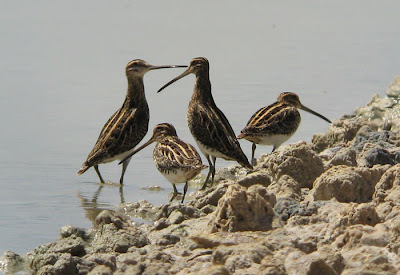 Common Snipe - Group of four, Km 20 salt pools. These birds behaved oddly for migrants indulging in posturing, standing erect and displaying, almost showing lekking-like behavior. 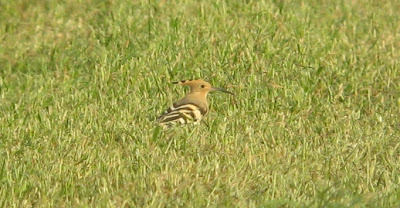 Eurasian Hoopoe - A good tour for these with birds seen almost daily. Yotvata, March 18th. 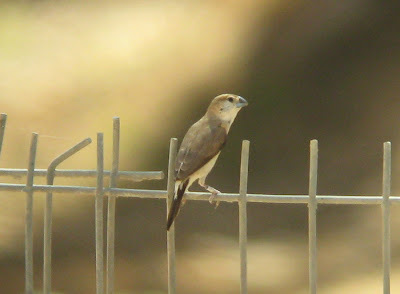 Indian Silverbill - Eilot's date palms. March 23rd. 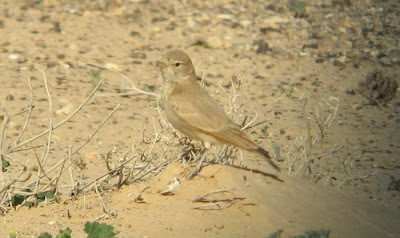 Lesser Kestrel - Flock of eight (five shown here), Ashalim, Western Negev, March 21st. A nice moment as we stopped for these and a 'Desert' Little Owl by the road, and then found two Great Spotted Cuckoos close by. 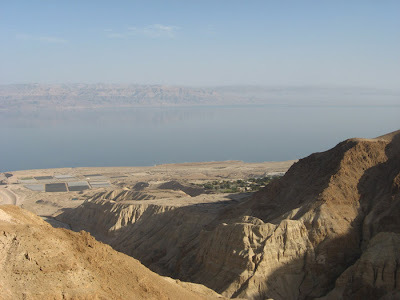 The Dead Sea from the overlook at Nahal Darga. March 22nd. 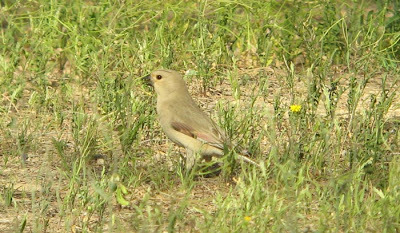 Further pics from this spring's tour of Southern Israel with Birdfinders. 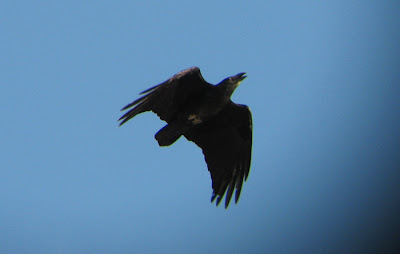 Fan-tailed Raven - Dead Sea region, March 22nd. 'Digibin' shot. 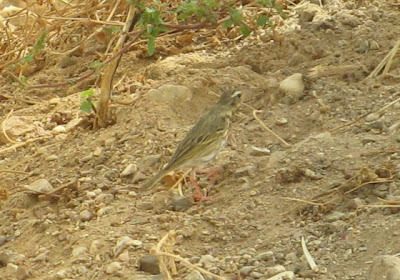 Long-billed Pipit - north of Beer Sheva, March 21st. 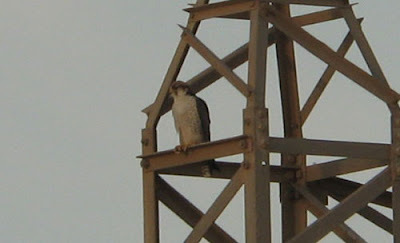 Lanner - Adult male, Southern Arava, March 22nd. 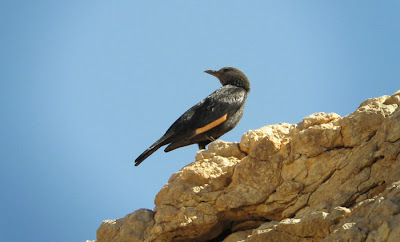 Tristram's Starling - Ein Netaphim, Eilat Mountains, March 23rd. 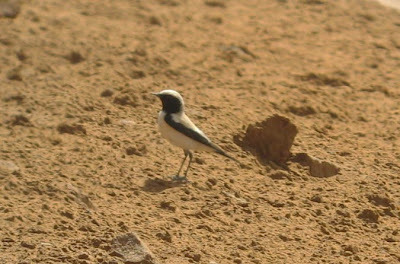 Desert Wheatear - Male, Km 20 salt pools. March 18th. Hume's (Tawny) Owl - Southern Arava, March 23rd. 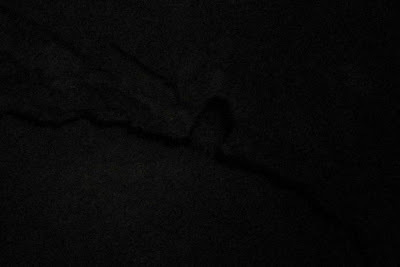 Digi-scoping at distance at night has its limitations! Still nice to capture something of a record shot of this desert phantom. 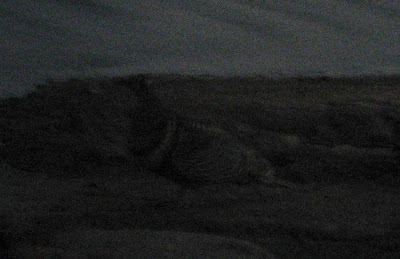 Lichtenstein's Sandgrouse - Male, Southern Arava, March 19th. 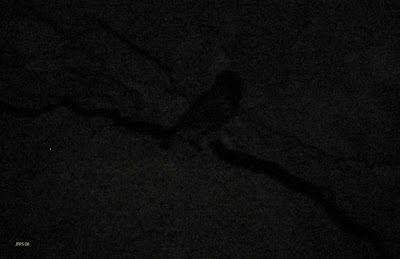 Another poor record shot of a good bird taken at night. We do, on occasion, sometimes find these in the daytime, but not this year. 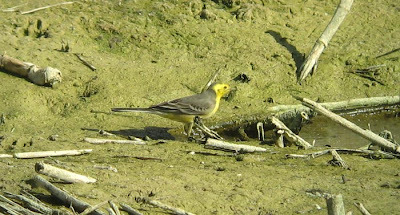 Citrine Wagtail - 1st-spring male, Yotvata. March 23rd. 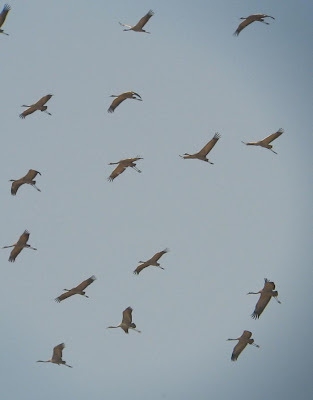 Common Cranes - Urim, Western Negev, March 20th. 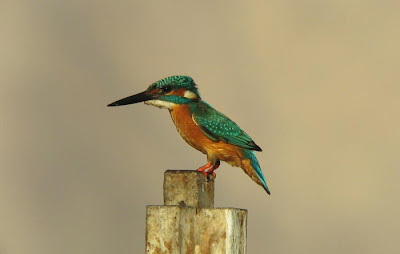 Common Kingfisher - Eilat north beach, March 23rd. 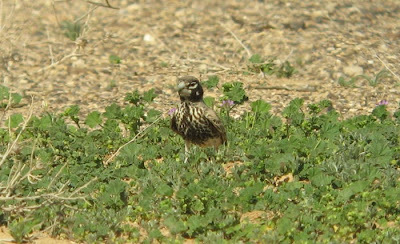 Bar-tailed Lark - Ha' Meishar, March 20th. 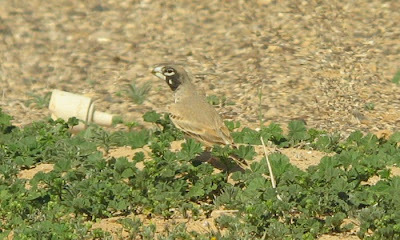 Desert Finch - Female, Sde Boker, March 21st. Third and final image selection from Israel 2008 to come soon. Israel, March 17th - 24th, 2008. Part I. Here's a few pictorial highlights from our recent spring tour to Israel with Birdfinders. This year's trip was possibly our most successful in recent years with an outstanding selection of excellent West Palearctic specialties. 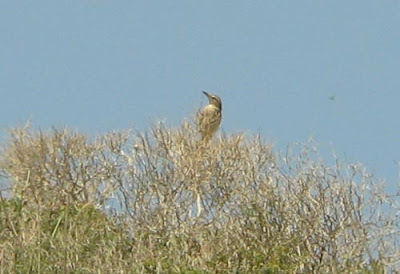 These included Striated Heron, Western Reef Heron, Eastern Imperial Eagle, Oriental Honey Buzzard, Barbary Falcon, Purple Swamp-hen, Sand Partridge, Maqueen’s Bustard, Caspian and Greater Sand Plovers, Cream-colored Courser, White-eyed Gull, Spotted and Lichtenstein’s Sandgrouse, Namaqua Dove, Hume’s Owl, Nubian Nightjar, Pied Kingfisher, Little Green Bee-eater, Syrian Woodpecker, Bar-tailed, Bimaculated and Thick-billed Larks, Rock Martin, Long-billed and Olive-backed Pipits, Citrine Wagtail, Blackstart, Scrub Warbler, Arabian and Menetries’s Warblers, Semi-collared Flycatcher, Arabian Babbler, Palestine Sunbird, Brown-necked and Fan-tailed Ravens, Tristram’s Starling, Dead Sea Sparrow, Indian Silverbill and Desert Finch. 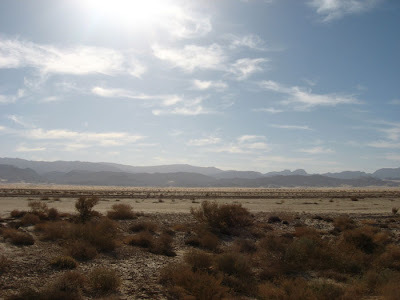 Southern Arava looking east towards the Edom Mountains of Jordan. March 22nd. 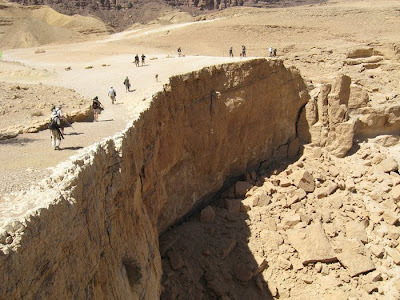 The Birdfinders group at Ein Netaphim. March 23rd. 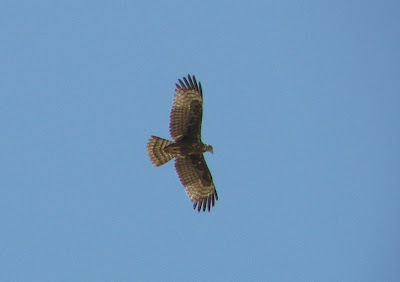 Oriental Honey Buzzard - 1st-cycle bird and one of the highlights of the trip. 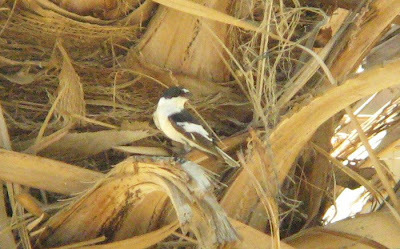 The bird had evidently wintered in Eilat, roosting in the date palms just north of the Eilat Birdwatching Center. March 23rd. 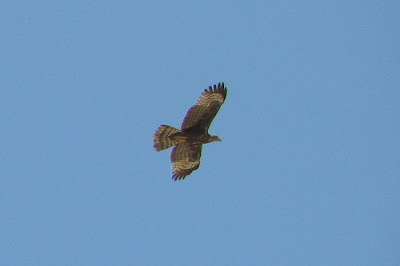 Oriental Honey Buzzard - Another 'digibin' shot of the same bird. March 23rd. Semi-collared Flycatcher - Nice male in the same date plantation as the above mentioned Oriental Honey Buzzard. March 23rd. 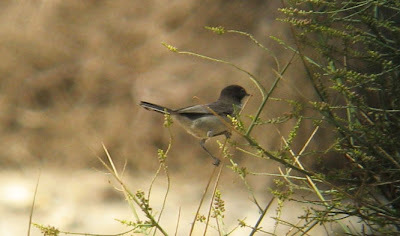 Arabian Warbler - Hazeva, March 22nd. 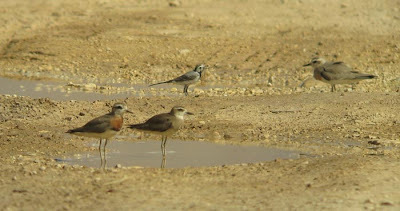 Caspian Plovers - with Spur-winged Plover. Part of a flock of five Caspian Plovers at Yotvata's 'mega' fields. March 23rd. 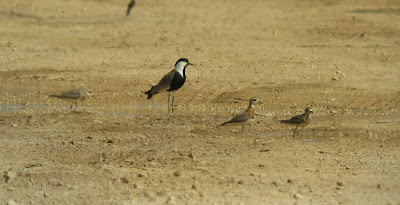 Caspian Plovers - with White Wagtail at Yotvata's 'mega' fields. March 23rd. 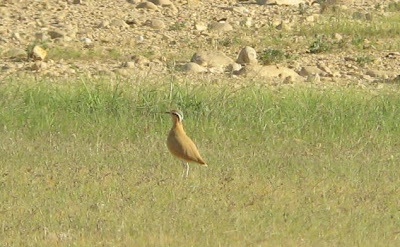 Cream-coloured Courser - Nizzana, March 21st. Always one of the main highlights of a trip to the Western Negev. 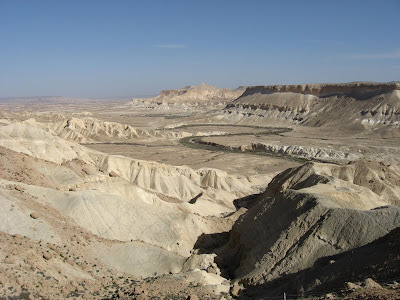 The Zin Valley, Central Negev. Spectacular scenery as well as great birding.